but thought it was still a bit plain. 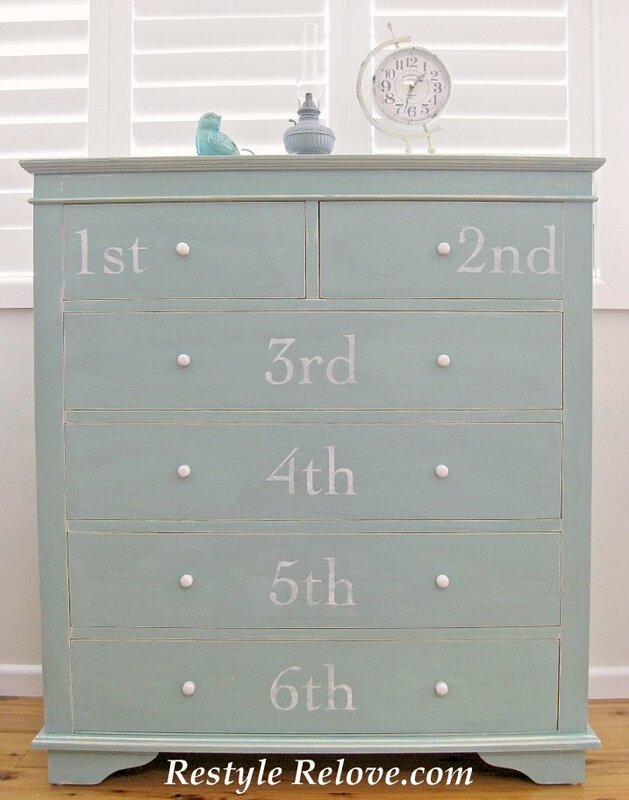 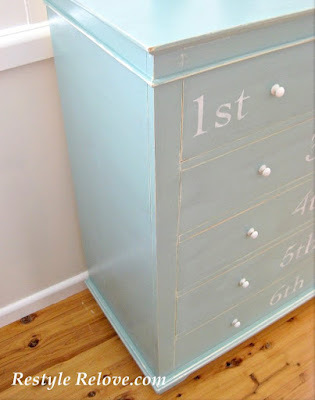 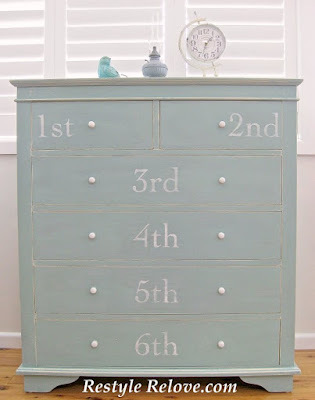 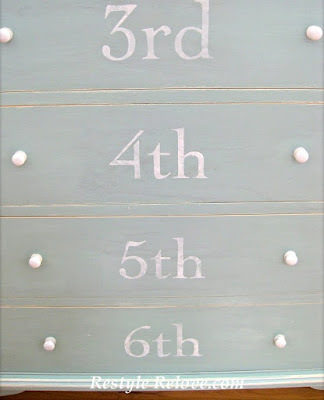 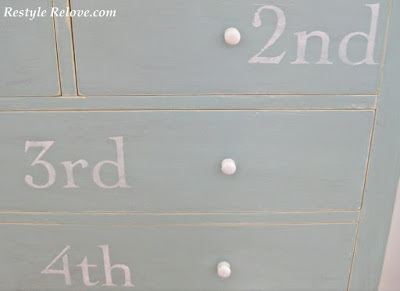 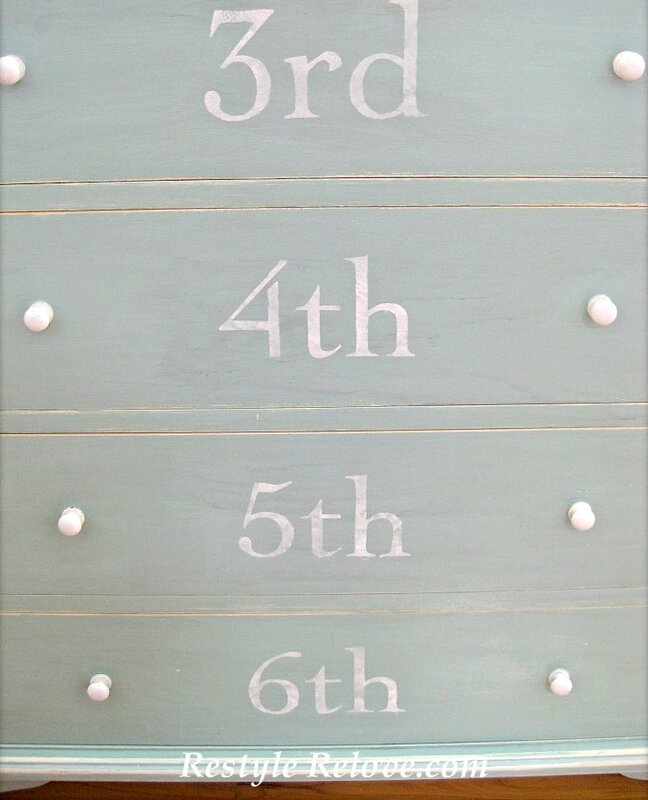 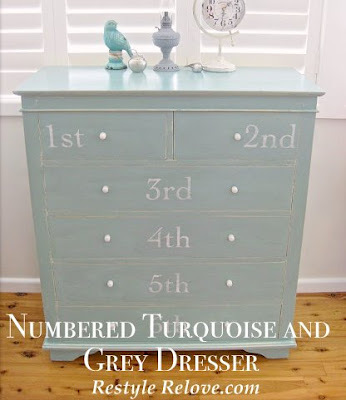 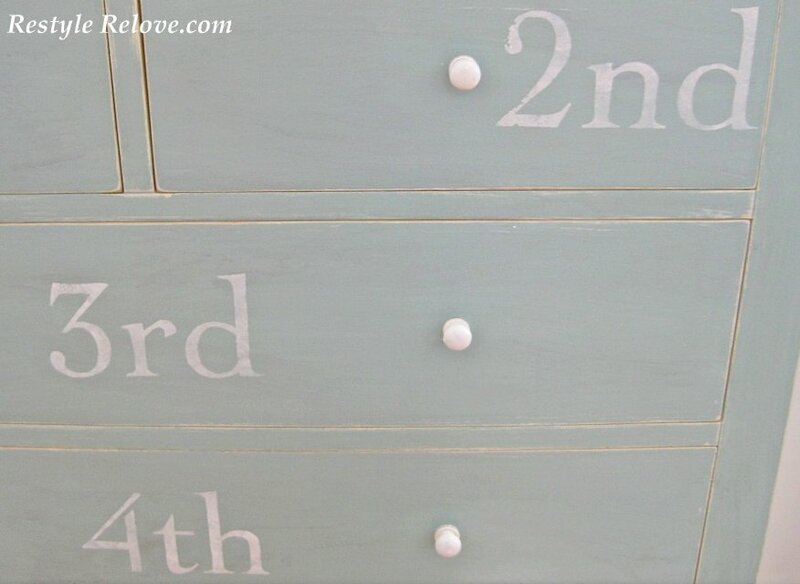 So I numbered the drawers with white paint. 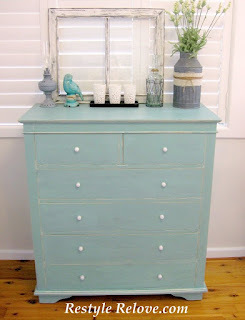 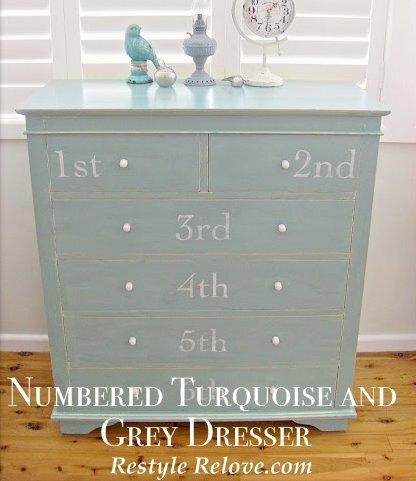 This dresser isn't a Plain Jane anymore.